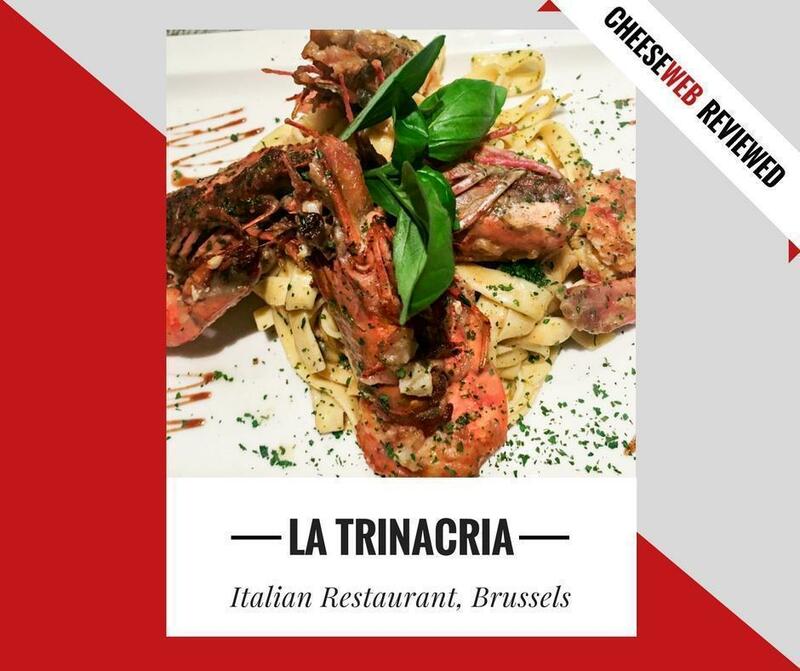 Monika reviews Italian Restaurant, La Trinacria, in the Woluwe-Saint-Lambert neighbourhood of Brussels, Belgium. In December of 2016, I visited an Italian restaurant in Woluwe Saint Lambert, in Eastern Brussels, and wanted to share my experience with you. 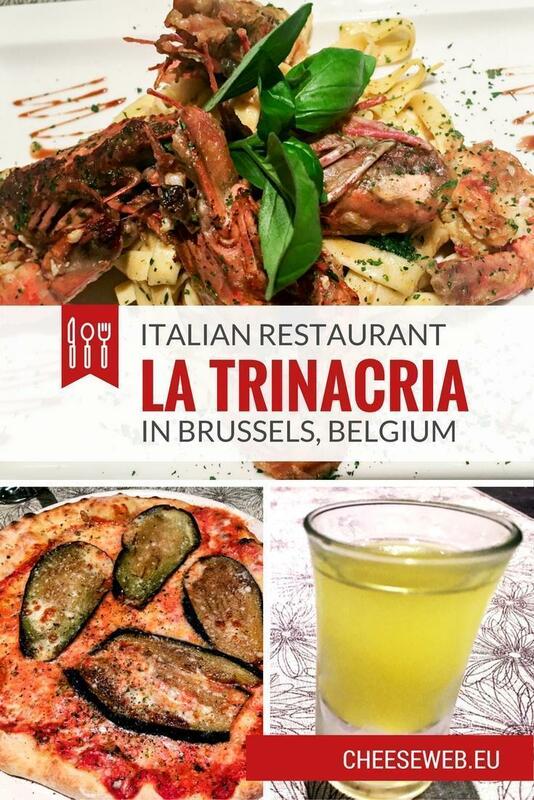 La Triniacria is a small restaurant, near the Tomberg metro station, and is relatively new on the restaurant scene in Brussels. I went there on a Friday evening, with prior reservation and found it quite busy, especially with pizza takeaway orders. 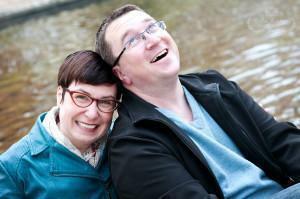 Upon arrival, we were ushered to our table with a smile where we chose the house white wine, which was quite decent. It arrived quickly, but unfortunately, the accompanying bread came much later; only after a reminder. To my bad luck, the bread was stale, and I did not enjoy it. 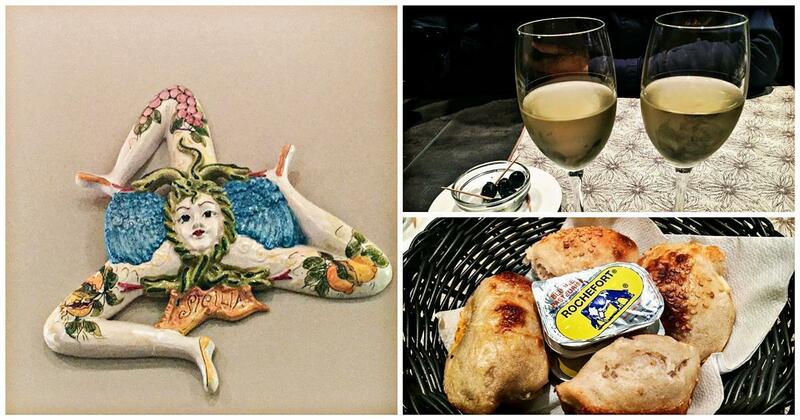 The Sicilian triskelion, also called as the trinacria, has become the symbol of Sicily, as depicted in La Trinacria restaurant, Brussels, Belgium. The steward who was serving us explained ‘Trinacria’ refers to the triangular shape of the Italian island of Sicily (and is quite a tongue twister of the word!). Sicilian cuisine has been influenced by many other cultures, namely, French, Greek and Arab, and has always prided itself on its fresh produce; the oh-so-delicious tomatoes, olives, capers and aubergines. Though the menu had some typical Sicilian favourites like Penne alla norma, carpaccio di Parma, and a Sicilian pizza, it is more reflective of an Italian ristorante-pizzeria rather than a typical Sicilian menu. Scrumptious pizza at La Trinacria Italian Restaurant! 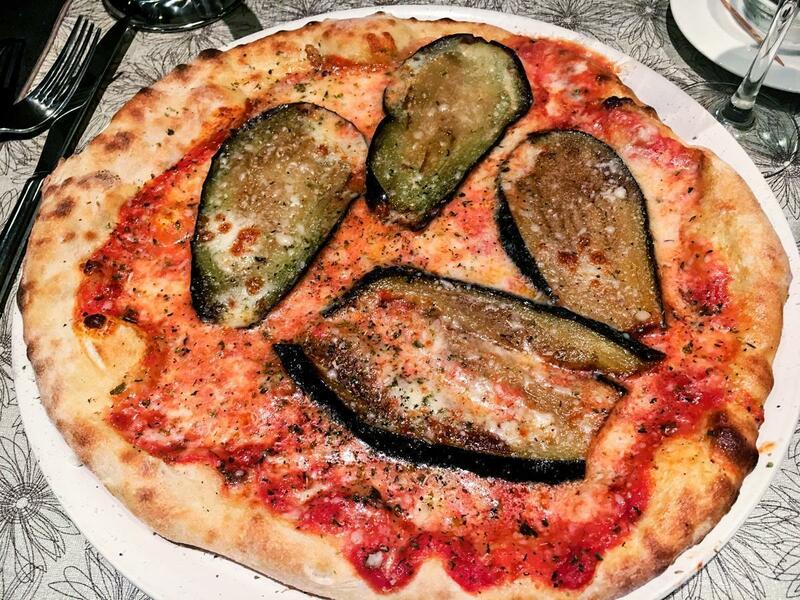 My other half asked for a Pizza Parmigiana, with tomato sauce, aubergines, and parmesan. The crust was crisp, and the pizza thick and chewy, though a little dry. The sauce was excellent and the aubergines cooked well. I asked for a Tagliatelle pasta with prawns and courgette. The prawns were cooked in their shells, locking all the flavour inside, and paired perfectly with the pasta which was generously garnished with basil and paprika. 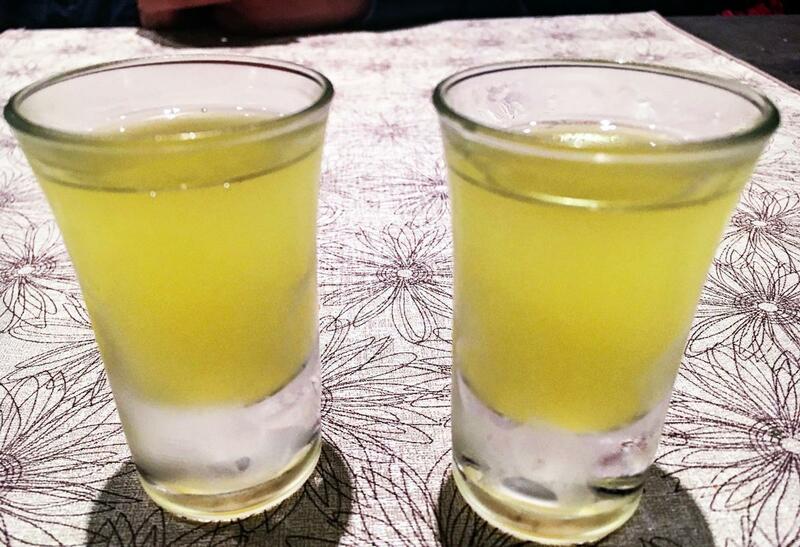 We finished our meal with shots of Limoncello, the Italian lemon liqueur, which was on the house. 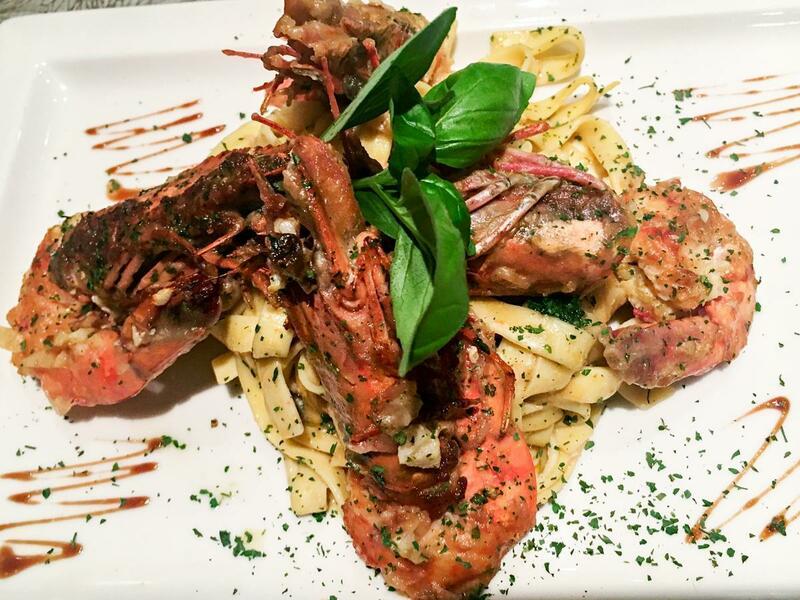 La Trinacria’s Tagliatelle with prawns. 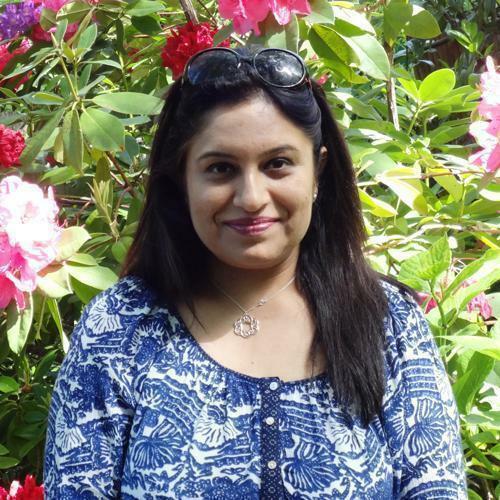 The restaurant has a cosy atmosphere and looked busy with a lot of takeaways and deliveries (online orders through pizza.be). Parking can be a bit of an issue since the restaurant is located in a busy area along with other eateries and stores. The prices are decent, and the service was courteous. The server was able to answer most of the questions about the food and the menu. I believe this goes to show the interest of the staff and the passion of the restaurant in creating a good dining experience for the patron!